Have you ever noticed a person with what you would consider “Bad teeth?” If so what’s the first thing that comes to mind? For many people this is considered as something of an aesthetic problem, and while stained or decayed teeth are obviously unattractive, did you know that they can be a tell tail sign of serious underlying health problems as well? That’s right! In many ways your oral health can be both the key to maintaining your overall general health and conversely, if neglected can lead to serious problems that may impact your health in numerous ways. 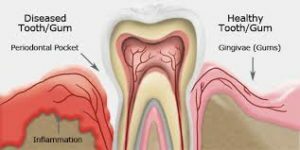 This of course includes not just your teeth, but your gums and surrounding areas, as all of which can be susceptible to this health concern known as Periodontal Disease. Periodontal Disease or sometimes known as Periodontitis, perio disease or gum disease. It is a progressive inflammatory disease that affects the teeth and surrounding tissue, and while this may sound relatively benign at first, don’t be fooled! Perio disease can in fact be a serious or even life-threatening condition that may result in a litany of additional health problems. Although there are multiple factors that may contribute to the onset of periodontal disease, the primary cause is the buildup of excess bacteria in your mouth due to dental plaque. While early symptoms are seemingly minor nuisance such as swollen or bleeding gums, keep in mind that perio disease is a progressive infection and therefore will continue to get much worse if not treated. If further neglected, the infection will continue to spread throughout the mouth, thus damaging or ultimately destroying the teeth or jawbone. While excess bacteria may be the primary culprit for the onset of perio disease, there are numerous risk factors that could contribute to the likelihood of developing periodontal disease as well. It should also be noted that certain medications and poor dietary habits can also expedite the progression of periodontitis, as can other diseases or illnesses. This can prove to be a serious issue for those with other medical conditions (such as diabetes) as periodontitis may likely interact with or exacerbate such conditions, or even trigger additional illnesses. While periodontal disease is certainly a nasty enemy in itself, what makes an enemy worse is an enemy with friends! As mentioned previously, the number of additional diseases or illnesses that can interact with or occur as a result of periodontal disease is staggering to say the least. As more research continues to be done on periodontal disease in recent years, numerous case studies continue to uncover links between periodontitis and other associated conditions. Atherosclerosis: Atherosclerosis is a condition in which the arteries of the heart become clogged, thereby hindering its ability to pump blood thought out the body. Meanwhile due to the increase in bacteria growth, periodontal disease can create something of a chain reaction by causing the spread of plaque instability and inflammation. This of course would put further stress on the already weakened heart by continuing to thicken the artery wall, essentially choking the heart. Heart Disease: Like atherosclerosis, periodontitis can also heavily contribute to the occurrence of heart disease. 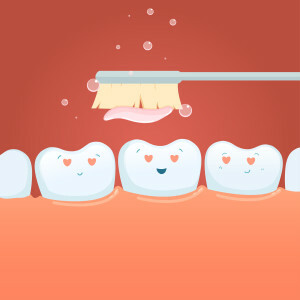 As gum disease continues to produce excess bacteria, bacteria may be released into the bloodstream. Once these toxins have reached the heart, they form fatty plaques within the arteries thereby causing blood clots. This obviously is a serious issue as blood clots can block and cut off the flow of blood completely, thus causing a heart attack. Diabetes Mellitus: Diabetes and gum disease have something of a combative relationship as both seem to directly affect one another, and therefore creating a compound issue. If left unchecked or poorly managed, diabetes will result in elevated levels of glucose or sugar to circulate throughout your body, including your mouth. With this heightened level of glucose, your mouth begins to build up an excessive amount of bacteria, thus creating the ideal setting for an infection like periodontal disease to develop. Conversely, like any serious infection, periodontitis can potentially affect the blood glucose level of those afflicted, thus making them increasingly difficult to control and ultimately cause the diabetes to exponentially progress. Respiratory Disease/Pneumonia: As mentioned previously, if the buildup of bacteria caused by periodontal disease is able to spread throughout the body, the results could be devastating. This of course could certainly be the case if the bacteria from the mouth manages to infect the lungs, especially if the individual already has a preexisting lung condition. If the hazardous bacteria reaches the lungs the afflicted individual will likely develop a lung infection, however if the sufferer is elderly or has a preexisting condition this could result in a severe pneumonia, which could be potentially fatal. Stroke: Individuals suffering from chronic infectious diseases are typically considered at an increased risk of suffering a stroke, and those with gum disease are certainly no exception. As explained earlier, the bacteria caused by periodontitis can wreak havoc on the heart by causing blood clots to block the arteries and reduce blood flow. If blood flow is reduced or restricted from flowing through certain sections of the body the results will certainly be serious. However, if blood flow is reduced or cut off from reaching the brain, the results are almost sure to be catastrophic. If the blood vessel delivering blood to the brain is blocked, this will often result in what’s called an Ischemic stroke, which may damage the brain cells and even result in death. Avoid Perio Disease: Good health starts in the mouth! As you can see, while having bad teeth and swollen gums may at first glance seem like little more than a cosmetic issue, the truth is that these unattractive features are only a small fraction of the major health crisis that is perio disease. So remember by practicing routine dental care and making those recommended six month dental appointments, you are not only taking the necessary steps in protecting the appearance of your teeth, but also in stopping a nightmare like periodontal disease dead in its tracks! Entering your golden years can be a time of both relaxation and rejuvenation, and might in fact be some of the greatest years of your life! The term “golden years” refers to the time period between 65 to your eighties and beyond; when you are officially considered a senior citizen. It is during this time that many people choose to settle down and enjoy the fruits of their life’s achievements. However those precious moments spent with family, friends, or a significant other can be interrupted by an unfortunate situation that haunts many seniors, deteriorating teeth. Damaged or decayed teeth are not only unsightly and painful; they can also be costly and is the main reason that GPS Dental offers affordable dental care for seniors. It’s important to remember that when you age, your teeth age and change right along with you. Like anything, time can certainly take its toll and prevention is so important. As your teeth become older and increasingly worn, it is imperative that they receive some additional care. Offering affordable dental care for seniors is important to us because we want to keep our patients’ teeth strong and healthy and prevent some of their oral health concerns that many seniors are particularly susceptible to. Rooth Decay: Our older patients are at risk for root decay. What is root decay? Root decay is a cavity that forms on the roots of your teeth. Our senior patients are at a higher risk, because their roots are exposed due to receding, especially if they suffer from gum disease. Root decay can also be caused by brushing incorrectly or with a toothbrush that is too hard. Age-related gum changes can also be an impact. Gum Disease: Did you know that half of Americans over the age of 55 have some form of gum disease? Gum disease is caused by bacteria in the tarter and plaque on your teeth. Teeth can become loose and eventually result in tooth loss. If your gums bleed when you brush your teeth or you have red or swollen gums, you need to visit Dr. Gary Skrobanek, DDS at GPS Dental, as these are signs of gum disease. Another sign to schedule your dental appointment is if you notice that your teeth are looking longer or if they are loose. It is possible to stop gum disease with early detection. Otherwise, you may develop gingivitis or periodontitis, two common forms of gum disease that both require daily care and professional cleanings. However, left untreated gum disease can also cause physical ailments, such as heart disease. Tooth Loss: Older adults keep their natural teeth longer than in years past. Now, there is less need for false teeth, also referred to as complete or partial dentures. However, with seniors keeping their natural teeth longer, the risk for tooth decay and gum disease is on the rise. Many times medications can cause dryness in the mouth which allows decay to continue. Believe it or not, saliva (or spit) actually helps protect teeth from cavities. These are just a few of the most common oral diseases that affect our senior patients. If these issues are not prevented or treated, they can result in more pain, loose and or broken teeth. As you can imagine, these issues have proven problematic in maintaining their quality of life, as they may cause an unbearable amount of pain and make chewing and eating a difficult if not an impossible task. These issues can impact their confidence and self-esteem. Oral Cancer: Oral cancer is another disease and appears as a sore or growth in the mouth that does not go away. According to the American Cancer Society, men face twice the risk of developing oral cancer as women and men who are over the age of 50 face the greatest risk. Oral cancer can be life threatening; however, the expert hygiene team at GPS Dental includes an oral screening during each dental exam. Another and perhaps even more alarming issue brought about by seniors facing dental problems is the financial aspect. It’s no secret that certain dental procedures can cost more than others since the price for multiple treatments, would be considerably higher. This often times makes finding affordable dental care for seniors a challenge. Unfortunately this is typically the case for our senior patients, as often their dental problems are gradual problems that have grown significantly worse over time. This highlights the importance of routinely practicing proper dental care before these problems get out of hand. Affordable Dental Care for Seniors: Fear not! Although these oral concerns may seem daunting, it is important to us to offer affordable dental care to seniors. Rest assured there are numerous resources available to you that may not only help get you out of pain, but may help keep your finances secure as well. At GPS Dental, Michelle, helps our patients figure out how to maximize their dental insurance benefits and explore options to schedule payment arrangements. For patients needing payment plans, GPS Dental can assist in applying for Care Credit which currently offers 6 month and 12 month deferred interest plans (with a minimum charge amount) and 24 and 48 month extended payment plans with a reduced interest charge. You can apply in our office or apply online. Remember your happiness is important to us, and in a time when you should be embracing life and living it to the fullest, there is no need to be pestered by the occurrence of dental problems. If you have questions or concerns about your oral health, please call us at GPS Dental to schedule your appointment. We look forward to offering you affordable dental care for seniors. One of the latest trends in dentistry is aimed at getting more people to floss regularly. 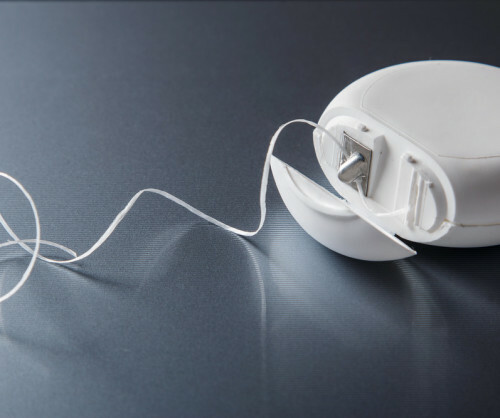 Because most people cite the difficulty and the extra time flossing takes as their reason for skipping it, new products have emerged to make flossing easier and faster. Enter the electric flosser. Find out how to use this new technology to achieve a healthier, cleaner mouth with GPS Dental’s expert tips! What Is an Electric Flosser? Electric flossers, also known as water flossers, use a thin, targeted stream of water to help clean between teeth. This form of flossing is particularly useful for patients who have a difficult time with traditional floss, such as those with braces or bridges. While they certainly help our patients get a healthier smile, electric flossers are not a replacement for traditional flossing. Both traditional and electric flossing specialize in reaching certain areas of the mouth, and when they’re used together, the two can seriously reduce plaque. While there are plenty of benefits to using an electric flosser, getting started with one can be intimidating. Before you power up your flosser for the first time, take a look at these tips to do it right. Don’t forget to check your flosser for directions or instructions that may come with it! If this is the first time you’re powering up your flosser, fill it with water and set the pressure to the highest setting. Spray the flosser into the sink until you get a steady stream. Bring the pressure back down to the lowest setting, or, at your preferred setting if you’ve used your flosser before. Lean over the sink, as using an electric flosser is a little messier than traditional flossing. Place the tip of your flosser in your mouth, closing your lips gently around it to prevent water from splashing out. Turn your flosser unit on, and let the water flow out of your mouth and into the sink. Move your flosser along your gumline. Starting with your back teeth, move the flosser forward, aim at a right angle and pause slightly between teeth. Once you’ve made your way past every tooth, turn your flosser off and take off the tip for cleaning. Flossing not the only part of dental care you’ve been skipping? Schedule a Netflix binge & dental checkup! Give GPS Dental a call at (210) 633-3477 to make your appointment! It’s no secret that confidence and smiling go hand in hand. The jury is still out on whether confident people naturally smile more, or if smiling actually causes a spike in confidence, but one always seems to follow the other! At GPS Dental, we know all about the power of a smile. We also know what it feels like when you’re less than confident about your teeth. Find out how your smile could be helping, or hurting, you and how you can achieve a healthier, happier smile. Outside the dating realm, the same rules apply: smiling makes you approachable. Whether you’re meeting with a new client at work or making a first impression on the in-laws, those around you appreciate a warm smile. As important as smiling is, no one wants to show off their grin when it’s not at its best. A simple but steady oral care routine can help you put your best foot forward with a winning smile. We recommend brushing twice a day, flossing once a day, and trying to stay away from acidic or sugary foods. If your smile needs a little more help, there are many cosmetic solutions out there. Talk to your dentist about options like teeth whitening or even altering the shape of your teeth for a kinder smile. One appointment might be the only thing standing between you and a more confident smile. Does your smile need a little something? Call GPS Dental at (210) 633-3477 to schedule an appointment. We’ll have you in, out, and smiling in no time! Super Bowl Sunday is almost here! 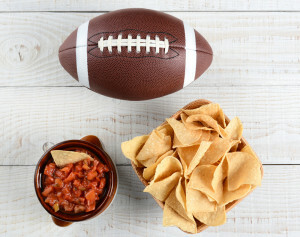 Whether you’re cheering on the Denver Broncos or the Carolina Panthers, chances are you’ll be snacking. Of course, most people know sugary foods aren’t good for their teeth, but it can be difficult to replace those treats with something that won’t damage your teeth. 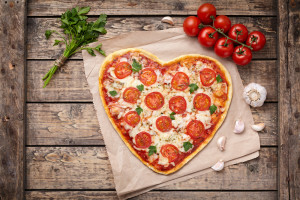 To help you take care of your teeth while you’re chowing down, GPS Dental has put together a list of snacks that everyone – even your pearly whites – will love! Most spinach and artichoke dips include cheese, which we now know is a huge plus. However, don’t overlook these other rockstar ingredients. Tip: Crackers and chips have a number of faults from a dental perspective. Try grabbing some fresh veggies from that platter we mentioned above, or make some veggie chips to substitute. Dental health, typically, isn’t the first order of concern when picking out snacks. If your teeth have seen a few too many ‘bad’ snacks, come in to see Dr. Skrobanek. From whitening to bonding, GPS Dental can help you love your smile – give GPS Dental a call at (210) 633-3477. Is Chewing Gum Bad for My Teeth? 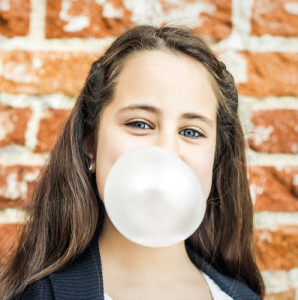 There have been rumors for years that chewing gum can help keep your teeth clean. Of course, there are other theories that say anything that adds extra sugar to your mouth is hurting your choppers. Today, the smile specialists at GPS Dental are ready to weigh in. So, what’s the verdict? Is chewing gum hurting or helping your teeth? Survey says: Keep on chewing! Studies have shown that sugarless gum can actually help you maintain a healthier mouth. How? When you chew gum, your mouth produces saliva. After you eat, sugars and acids from your meal stick around, but that added saliva helps wash them away. This extra “rinse” helps prevent tooth decay and damage. Even better, increased saliva actually introduces additional calcium and phosphate which can strengthen the enamel of your teeth. For more tips on candy and tooth care, take a look at our blog post: How to Keep Your Family’s Teeth Healthy. Don’t forget to check for sugar! Sticky sugar is only going to make more problems for your mouth, just like other chewy candies. Always opt for sugarless gum, or skip the ritual altogether. Make sure you’re chewing sugarless gum – otherwise, you’ll be doing more harm than good. Chew your (sugarfree) gum for about 20 minutes after your meal for maximum benefit. Look for gum with the ADA seal of approval, so you know you’ve got the best gum for your mouth. Chewing gum does not replace your brushing and flossing routine. Sugarless gum has officially been given the seal of approval, but it doesn’t take over other parts of your tooth care routine. It’s just one step toward a healthier mouth. Schedule your next appointment for the next step – call GPS at (210) 633-3477. Sensitive teeth can take your favorite treats and turn them into big-time pain. A bowl of ice cream, a steaming cup of coffee, or even just a cold breath of air can trigger aches and pains for those with sensitive teeth. Of course, with the holidays coming up, it can be tricky to schedule a dental visit right away. Until you can get in to talk to your dentist, GPS Dental suggests these in-home tactics to ease your pain. Toothpastes made to ease sensitivity block or dull the transmission of pain signals from your teeth, making that ice cream a lot more enjoyable. If you’ve just started using a toothpaste made for sensitive teeth, don’t lose hope too quickly – it usually takes a while (sometimes up to a month) to feel a difference. Once you’ve found a toothpaste suited to your needs, look at the bristles on your toothbrush. If they’re looking ragged and sticking out in weird directions, you’re probably pushing too hard when you brush. Ease up when you’re brushing and grab a new, softer toothbrush. While it’s fairly common knowledge that the carbonation in soda is rough on our teeth, we don’t always think about other sources of acid we consume. A diet heavy in acidic foods – even healthy foods – can wear down our enamel and contribute to sensitive teeth. If you’re experiencing extra sensitive choppers, try cutting down on your citrus fruit, tomato products, and wine to reduce the acid your teeth come into contact with. Each treatment helps sooth sensitive teeth depending on the source of the sensitivity, be it a cavity or worn filling; you’ll need a dentist to figure out the right treatment for your mouth. If you’re dealing with sensitive teeth, you’re not alone. It is estimated that more than 45 million adults in the United States struggle with this issue. While the ideas above may help reduce your pain, a visit to your dentist might be able to fix the problem once and for all. If you’re missing out because of your sensitive teeth, call the most trusted dentist office in San Antonio, GPS Dental, at (210) 633-3477.